New Delhi: The Ministry of AYUSH has released an Year-End review of the advancement done in the field of AYUSH in 2018. The AYUSH ministry through its multi-pronged strategy has been able to bring the alternative system of medicine particularly Ayurveda and Homeopathy into the mainstream of the public health system in India. During the year, usage of Information Technology in AYUSH system was given prominence, new Hospital and Research Centers opened and MoUs signed with several stakeholders including several Ministries and Countries for disseminating benefits of traditional systems all over the country and abroad. The Ministry continued to propagate, publicise and popularise the alternate system of medicine with an aim of minimising the gap between demand and supply of medical facilities in the country. Following are the significant achievements and details of the important activities of the Ministry of AYUSH during the year. The Central Government promulgated the Homoeopathy Central Council (Amendment) Ordinance, 2018, (No.4 of 2018) dated 18th May 2018. Through the Ordinance, the Central Council of Homoeopathy(CCH), the statutory regulatory body for Homoeopathy system of medicine has been superseded by Board of Governors with a view to bringing necessary regulatory reforms in the field of Homoeopathy education and ensuring transparency and accountability for improving standards in Homoeopathy medical education. (b) To make provision for obtaining prior permission of the Central Government by all Homoeopathy Medical Colleges for admission. In order to replace the ordinance with an Act, the Ministry introduced the Homoeopathy Central Council (Amendment) Bill, 2018 during the Monsoon session of the Parliament. This has been approved by the President on 13th August 2018 and the corresponding Act, namely, Homoeopathy Central Council (Amendment) Act, 2018 published in the Gazette of India as Act No. 23 of 2018. The foundation stone of National Institute of Homoeopathy at Narela, Delhi has been laid by MoS for AYUSH Shri Shripad Yesso Naik, on 16th October 2018. Total Project Cost is Rs. 259.12 crore. 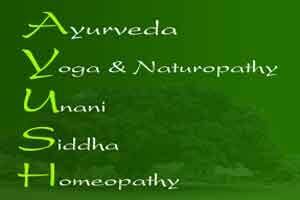 An All India Institute of Ayurveda, (AIIA) Phase-II Sarita Vihar has also been started this year. The total Project Cost is Rs. 209.33 Crore. A new course on IT education was launched for AYUSH professionals in collaboration with C-DAC. Ministry of AYUSH has registered a remarkable presence on social media. AYUSH systems have been promoted on Ministry’s various Social Media Platforms i.e. Facebook, YouTube, Instagram, Blog and Twitter and also at MyGov Platform to benefit the various strata of the population about the AYUSH systems. Ministry is also developing a cloud-based AYUSH GRID under the digital India mission. All the AYUSH Teaching Institutes, Hospitals and industry will be linked to AYUSH Grid. The Ministry of AYUSH was on the top spot of Broadcast Audience Research Council’s (BARC) top 10 brands during the week 25 (June 16-22, 2018) with 14,731 insertions. A MoU between the University of Mauritius and Central Council for Research in Ayurveda Sciences (CCRAS) autonomous organization under Ministry of AYUSH was signed on 14th March 2018 for establishing AYUSH Academics Chair in Ayurveda. A MoU between Ministry of AYUSH and Ministry of Health and Social Welfare of the Government of Equatorial Guinea on cooperation in the field of Traditional Systems of Medicine was signed on the 8th April 2018. A Country to Country MoU between Ministry of AYUSH and Ministry of Public Health of the Republic of Cuba on cooperation in the field of Traditional Systems of Medicine and Homoeopathy was signed on the 22nd June 2018. A Memorandum of Understanding (MoU) has been signed between the All India Institute of Ayurveda (AIIA), Ministry of AYUSH and The Medical University of Graz, Graz, Austria on 26.09.2018 at Austria to cooperation and collaboration in the field of Ayurveda. MoU between Ministry of AYUSH and Ministry of Railways, Govt. of India was signed for the establishment of AYUSH wings at 05 Railway Hospitals. It will open the doors of job opportunity to AYUSH graduates in Ministry of Railways. The Ministry of AYUSH also entered into a MoU with Spaulding Rehabilitation Hospital, Boston, USA and Harvard Medical School, USA. Ministry of AYUSH, the nodal Ministry for the celebration of International Day of Yoga (IDY) across the country, successfully coordinated various IDY-2018 across the country. The National event was held at Forest Research Institute (FRI), Dehradun, Uttarakhand, wherein approximately 50,000 people participated in the Mass Yoga Demonstration, along with the Prime Minister Narendra Modi. Apart from common people, Central Armed Police Forces ( CAPF) personnel’s, National Cadet Corpse (NCC) cadets, students of various educational institutes, Nehru Yuvak Kendra( NYKs) National Service Scheme (NSS), and various Yoga institutes participated in this mega event. A series of Yoga programmes were conducted in national capital (Delhi). The New Delhi Municipal Council (NDMC) and Delhi Development Authority (DDA) had organised 04 and 03 events respectively. In addition to this, one more mega event was organized by Brahmakumaris at Red Fort, with nearly 30,000 participants wherein 2000 Woman Police Force also attended. Altogether, around 65,000 people participated in Delhi. Yoga Ambassadors’ Tour: The Yoga Ambassadors’ Tour being organized in collaboration with Kerala Tourism on 14th June 2018. 52 participants from 22 countries joined in the Yoga Tour. The tour culminated on 21st June 2018 with a grand celebration of International Day of Yoga. The Ministry of AYUSH, through Central Council for Research in Yoga & Naturopathy (CCRYN), had organized a one-month free Yoga training programme in around 600 districts across the country through Govt. Organisations/ NGOs, ahead of IDY. It had also organized 11 one day workshop on Yoga for Women in the 40+ age group in association with Indian Menopause Society in different parts of the country. International Naturopathy Organisation (INO) had trained more than 51 lakh people in Yoga during the IDY-2018. Several State Governments like Punjab, Haryana, UP etc. have trained people on this occasion in large numbers. Two mobile technology-based applications deployed by the Ministry, namely BHUVAN-YOGA (developed by ISRO) and Yoga Locator, contributed to the public mobilization for IDY-2018. The former helped to assess the magnitude of participation at different venues and the later helped the public to locate events near them. The data collected through these apps are being analysed and collated statistically to gather a better picture of the extent of participation in IDY-2018. The Morarji Desai National Institute of Yoga (MDNIY) an autonomous organization under Ministry of AYUSH organized an International Yoga Fest (IYF), a Curtain Raiser for International Day of Yoga-2018, from 21-23rd March, 2018 and Pre-Fest Yoga Workshops by Eminent Yoga Masters from 19-20th March 2018, at MDNIY & Yoga Centres at SAI Stadia. The main objective of IYF was to sensitize the masses regarding the celebration of the International Day of Yoga on June 21. A total of 120 workshops were conducted from 19-20th March 2018 where 5000 Sadhaks got the benefit. International delegates of more than 16 countries across the Globe participated IYF-2018. The Ministry of AYUSH conducted a Conference of Heads of AYUSH National Institutes on 17 & 18 July 2018 with the objectives to upgrade the Standard of Education, Research & Health Care; harmonise & rationalize the infrastructure and activities of the National Institutes; fund and Resource generation for sustainable development; and networking and collaboration among the National Institutes. In addition to the discussion on various issues, an MOU was signed between All India Institute of Ayurveda, Sarita Vihar and Indian Institute of Technology, New Delhi on Co-operation and Collaboration in the field of Research and Development in Ayurveda. Protocols on Development of Standard Operating procedures on Pre-conceptional and Pre-natal care through Ayurveda and Standard Operating procedures of Uttaravasti have been released during the session. An “International Conference on Yoga for Public Health” was organised by Ministry of AYUSH at Panaji, Goa. The Conference was attended by 600 Indian and foreign delegates including 20 Yoga experts from 11 countries. The event provided the foreign participants with an opportunity to capture and understand various dimensions of Yoga and to help them further propagate the same in their respective countries. NMPB in collaboration with National Remote Sensing Centre, Indian Space Research Organization (ISRO) developed e-Bhuvan herbs mobile app. for geo-tagging and monitoring of the organizations funded by NMPB for carrying out various activities related to medicinal plants. NMPB has collaborated with National Remote Sensing Centre (NRSC), Indian Space Research Organisation (ISRO) to implement space-based tools in monitoring & strategic decision making in the field of Medicinal Plants. Yoga protocols for separate groups, viz. pregnant ladies, lactating mothers, adolescent girls and (children in the age group of 3-6 years), were developed in consultation with Morarji Desai National Institute of Yoga (MDNIY). This protocol was forwarded to the Ministry of Women & Child Development for using the same in connection with Poshan Abhiyaan. Pursuant to the initiative taken by Ministry of AYUSH to open AYUSH Hospitals by public sector companies, the National Thermal Power Corporation (NTPC) has agreed to establish five AYUSH centres at Kayamkulum, Koldam, Tapovan, Vindhyachal and Farakka. M/o Power agreed to establish 05 AYUSH Centres/Hospitals through NTPC at different locations in the country viz. Kayamkulum, Koldam, Tapovan, Vindhyachal and Farakka. Pharmacovigilance of ASU&H drugs: A Central Sector Scheme of ‘Pharmacovigilance Initiative for ASU&H Drugs’ has been implemented by the Ministry of AYUSH from the financial year 2017-18. The scheme has established a National Pharmacovigilance Coordination centre for collecting reports on quality aspects from 05 intermediary and 43 peripheral centres with a financial allocation to the tune of Rs 1.66 crore approved for implementation of the initiative in 2018-19. NABH Accreditation: For the first time, the Ministry of AYUSH through its continuous efforts has got the hospitals viz., National Institute of Naturopathy, Pune, Maharashtra, National Institute of Unani Medicine, Bangalore, Karnataka, National Institute of Yoga, Delhi and National Institute of Siddha, Chennai, NABH accredited. Ministry of AYUSH has made it obligatory for AYUSH hospitals for their accreditation to NABH standards with a view to enhancing the quality and safety aspects. Till date, a total of 62 AYUSH hospitals have got the NABH accreditation. CCRAS has developed new drugs for different disease conditions. These are AYUSH Manas for Mental retardation/cognitive deficit, AYUSH QOL for improving quality of life of Cancer patients, AYUSH Rasayan A & B in geriatric health, AYUSH M-3 for Migraine, AYUSH SL for Filariasis, AYUSH A for Bronchial Asthma, AYUSH D for Type II Diabetes Miletus, Carctol S for Cancer, AYUSH K1 for chronic Kidney Diseases, Ayurveda drug for Non-Alcoholic fatty liver disease and Ayurveda drug as adjuvant to ATT for hepatoprotection. These formulations are at different phases of drug development. Further CCRAS has commercialized already developed products namely Ayush-82 for Type –II Diabetes and Ayush SG for Rheumatoid arthritis NRDC in last two years and now these formulations are already available in the market for the general public which are cost effective and the people are using these formulations for diabetes and Rheumatoid arthritis. The Council has also commercialised AYUSH 64. In Central Council of Research in Ayurvedic Sciences (CCRAS) one project each in Collaboration Clinical Research, Medicinal plant Research Drug standardization, Literary Research have been completed. Total 4 projects have been completed during October 2018. Central Council of Research in Ayurveda (CCRAS) has completed Clinical Research in 1 IMR project. 1 IMR project of Drug Standardization Programme and 1 IMR project of Clinical Research, has been initiated. Officials from Central Council for Research in Siddha (CCRS) attended and presented the Research work of the IMR project entitled “Geochemical characterization of Muppu” in the 1st National Bio-Medical Research competition on the occasion of 87th anniversary of Dr APJ Abdul Kalam organized by AIIMS, Rishikesh held on 15th October, 2018 and won the Yong Researcher award. Swasthya Rakshan Programme has been executed through 7 CCRS Institutes/Units in 3 states 2 union territories. 12 locations were covered and medical care and awareness about hygiene and health was also provided to the people. Central Council for Research in Siddha with the support of Ministry of AYUSH, Govt. of India organised a National Conference on “Global Acceptance for Siddha System of Medicine: Scope and Challenges” which was held on 28th & 29th September 2018 at AmmaArangam, Community Hall, Shenoy Nagar, Chennai. Ministry of AYUSH organized the First Siddha Day 2018 at Dr MGR Medical University, Chennai on 4th January 2018 through Central Council of Siddha (CCRS), Chennai to generate awareness among the people about the Siddha system of Medicine. The Central Council for Research in Unani Medicine organized an International Conference on Unani Medicine on the occasion of Unani Day during 10th and 11th February 2018 in New Delhi. The subject of the conference was ‘Integration of Unani System of Medicine in Mainstream Healthcare’. Around 440 professionals participated in the Conference. International delegates from 12 countries attended the conference. A total of 10 AYUSH Awards were distributed in different categories of Unani Medicine. As an integral part of Celebration of 3rd Ayurveda Day, 2018, the Council has set up Ayurveda countdown corners from 16.09.2018 (50 days to go) at CCRAS Hqrs. and all 30 Research Institutes and Centres functioning under it across the country. The core activities comprise public lecture on Ayurveda & its importance, Medicinal plant exhibition, half day marathon and free distribution of sapling of medicinal plants etc. On this occasion, “The Social Media Secretariat” was formally inaugurated. The month of September was celebrated as “PoshanMaah” in all the AYUSH hospitals/ dispensaries, teaching institutes, research councils and their peripheral units under the M/o AYUSH in accordance with the guidelines of M/o AYUSH, M/o Women and Child Development, M/o H&FW and Department of School Education and Literacy. Various state AYUSH hospitals/ dispensaries, AYUSH National institutes/ teaching institutes and five research councils and their field units organized various nutritional and health camps for adolescent girls, pregnant ladies, lactating women and children. The success of camps was also marked by a team of UNICEF who covered the activities among their video production team at Central Ayurveda Research Institute for Cardiovascular Diseases (CARICD) on 15.09.2018.